Valentine’s Day is only 10 days away! We put together a great list of Valentine’s Day crafts and special treats you can make for a loved one or with a loved one. At the end of this post we have also included the Free Valentine’s Day Printable for you to use and share! 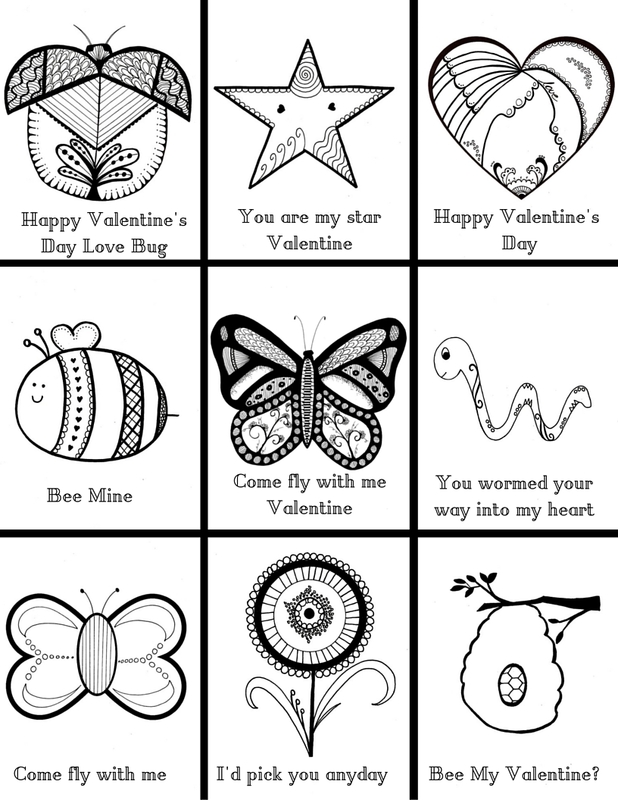 Adult coloring books are all over the place right now and we thought a DIY Coloring Valentine would be a great way to celebrate the day! Here are a few other great ideas we pulled together for you! Bakella’s adorable teddy bear cake pops. She walks you through making the cake pops step-by-step and the end result is simply stunning! You really can’t go wrong with a Martha Stewart craft. Here’s a great one for the kids to help out with, a Zip Tie Heart Garland. These have been around for a while, but it’s a great craft to go along with our Free Valentine’s Day printable below, DIY heart crayons. Sometimes you just don’t feel like baking, try these (No Bake) Sugar Cookie Bites. And BONUS, they only take 15 minutes to make! Or if cookies aren’t your thing and chocolate is more your speed, here’s a recipe for 3-ingredient Fudge Bites. Here’s a sweet little melted pony bead wind chime. And nothing says love like a little Valentine’s Day slime. And if you still don’t have enough ideas here, go check out our Pinterest Board dedicated to all things Valentine’s Day. And finally, here’s a Free Valentine’s Day Printable for you! Attach a small box of crayons for a non-candy school treat!